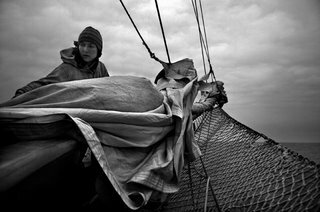 A tallship crew working against a stormy backdrop, looming in the distance... I could have dropped the camera, tripped the shutter, and captured the aestheticism and romanticism of the scene. Below is my favorite photograph of the day.